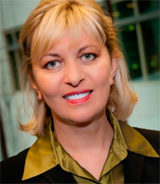 Teresa Indelak Davis was appointed Honorary Consul of the Republic of Poland in Seattle in 2014. A longtime resident of Seattle, Consul Davis has been an active member of the Polish-American community and served as President of Polish American Chamber of Commerce Pacific Northwest, Board member of the Polish Home Foundation, and as co-founder and Managing Director of Polish Festival Seattle, among others. She spent over 15 years working at Microsoft in corporate communications positions in Redmond and internationally. In Europe, she managed Microsoft’s Central and Eastern European communications strategy and community affairs programs, including the subsidiary in Poland. In Redmond, she managed global PR programs, disaster response communications, executive relations, and worked as a business communications consultant. Prior to Microsoft, she worked at WRQ (Attachmate), a connectivity software company and KIRO-TV, the CBS affiliate station in Seattle. She holds an M.P.A. from U.W. Evans School of Public Policy and Governance and a B.A. in Communications from the University of Washington in Seattle and has also attended Jagiellonian University in Krakow, before leaving Poland. Consular Services for Polish Citizens visiting or residing in Washington State such as legalization of documents for use in Poland, emergency assistance for Polish travelers and coordination of consular passport outreach to Seattle.